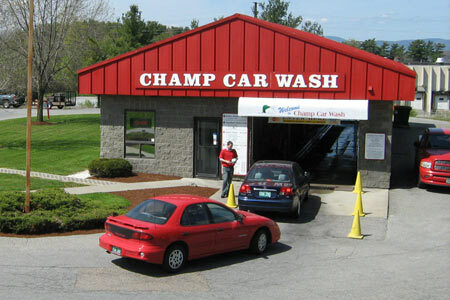 Founded in 1988, Champ Car Wash is a family owned business that has been serving the Chittenden County for over 20 years, providing professional car washing services at a competitive price. Open 7 days a week and offering extended hours to meet your service needs, your car is always welcome at Champ Car Wash.
We pride ourselves on offering customers the widest choice of carwash services, from Deluxe Touchless Car Washing to quick quality Laser Washes and Self Service Bays. Regardless of which wash option our customers choose, they can always rest assured that they will receive the highest level of professional service delivered by a dedicated staff using the most advanced Touchless equipment. The next time you need your car washed, bring it to the pros. Stop in and allow our friendly service professionals to treat your car to the ultimate wash experience and leave satisfied that your car has never looked better!